IRVINE, Calif. - Aug. 15, 2018 - PRLog -- Meggitt Sensing Systems, a division of Meggitt PLC, has added a 200g range to the popular model 7290G accelerometer. 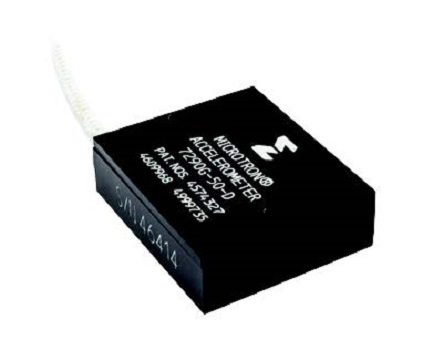 This variable capacitance sensor features broad usable bandwidth and is excellent for low frequency testing applications such as aircraft flight and automobile road tests. Precision temperature compensation provides for less than 1% thermal zero shift from -40 to +100 degrees C while the use of gas damping ensures stability and repeatability. The rugged internal MEMS element allows the 7290G to quickly recover from any shock and provide accurate low g measurements. Each 7290G is shipped with a NIST traceable calibration certificate, mounting cap screws and washers plus a hex key wrench for easy installation. Optional accessories include triaxial mounting blocks (7990) and the Model 136, DC differential voltage amplifier. For more information on all Endevco products or to buy online visit www.endevco.com. For full details on all Meggitt Sensing Systems products visit www.meggitt.com/mss. Meggitt Sensing Systems, a division of Meggitt PLC, is one of the world's leading providers of high performance, extreme environment sensing, monitoring, power and motion systems. It specializes in designing products to operate under harsh and demanding conditions. It has operated through its antecedents since 1852 – ECET, Endevco, Ferroperm Piezoceramics, Lodge Ignition, Negretti & Zambra, Sensorex and Vibro -Meter. Today, their capabilities and facilities have been integrated under one Meggitt to provide complete systems from a single supply base.